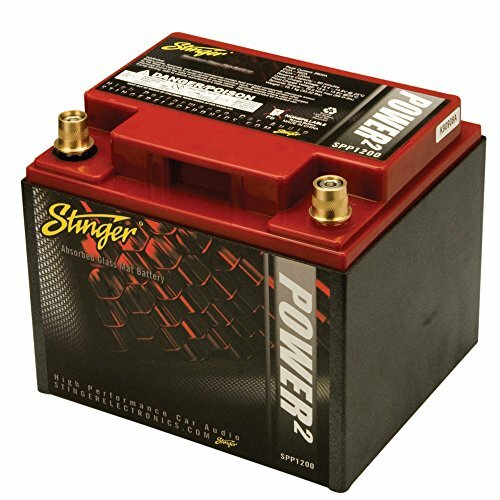 This Stinger 12-Volt SPP Series Dry Cell Battery features a sealed absorbed glass mat (AGM) design and is perfect for 800 watt car audio sound systems. The SPP680 can be used as a replacement for your vehicles standard battery or as an additional battery to provide the extra power needed for a high performance aftermarket system. It's leak-proof design and removable brass battery posts allow this power cell to fit in most factory battery locations with no hazardous leaks. 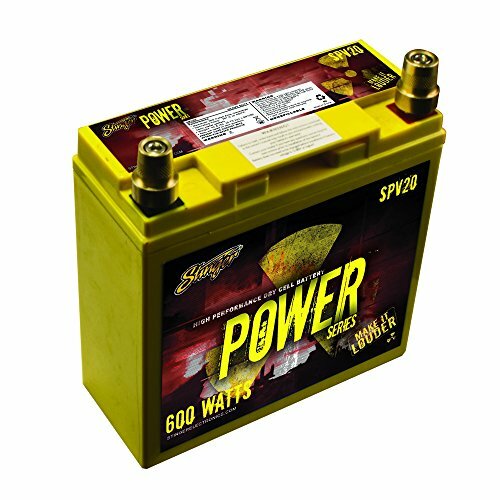 Stinger's SPP680 Power Cell puts out 680 cranking amps and is good for over 400 full discharge cycles. This battery will store energy so you don't need a capacitor for your system. This Stinger 12-Volt Power Series Dry Cell Battery features a sealed absorbed glass mat (AGM) design and is perfect for 600 watt car audio sound systems. The SPV20 can be used as a replacement for your vehicles standard battery or as an additional battery to provide the extra power needed for a high performance aftermarket system. It's leak-proof design and removable brass battery posts allow this power cell to fit in most factory battery locations with no hazardous leaks. 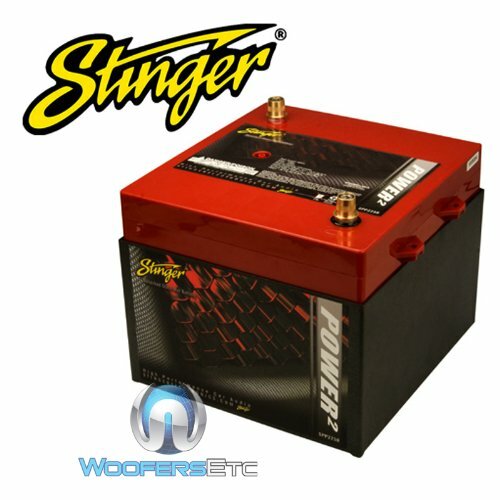 Stinger's SPV20 Power Cell puts out 300 cranking amps and is good for over 300 full discharge cycles. This battery will store energy so you don't need a capacitor for your system. 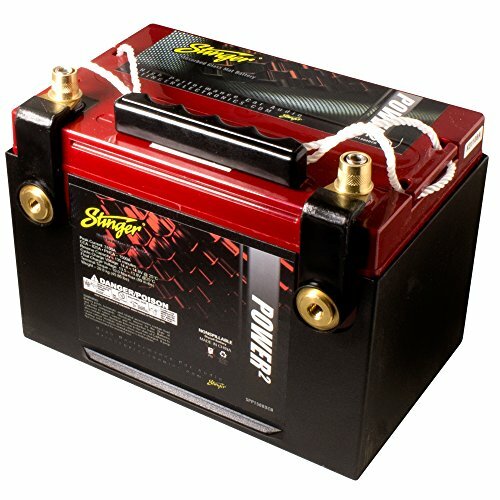 This Stinger 12-Volt Power Series Dry Cell Battery features a sealed absorbed glass mat (AGM) design and is perfect for 1320 watt car audio sound systems. The SPV44 can be used as a replacement for your vehicles standard battery or as an additional battery to provide the extra power needed for a high performance aftermarket system. It's leak-proof design and removable brass battery posts allow this power cell to fit in most factory battery locations with no hazardous leaks. Stinger's SPV44 Power Cell puts out 660 cranking amps and is good for over 300 full discharge cycles. This battery will store energy so you don't need a capacitor for your system. 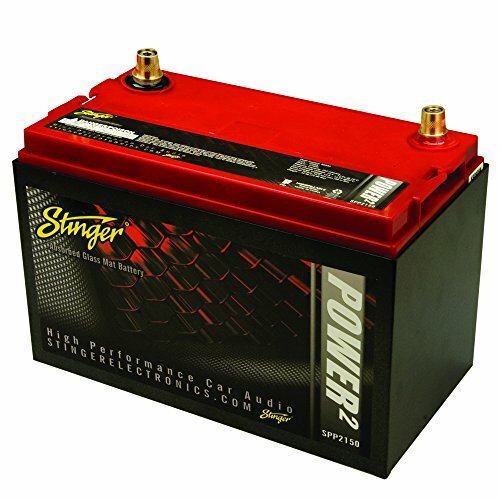 This Stinger 12-Volt SPP Series Dry Cell Battery features a sealed absorbed glass mat (AGM) design and is perfect for 2000 watt car audio sound systems. 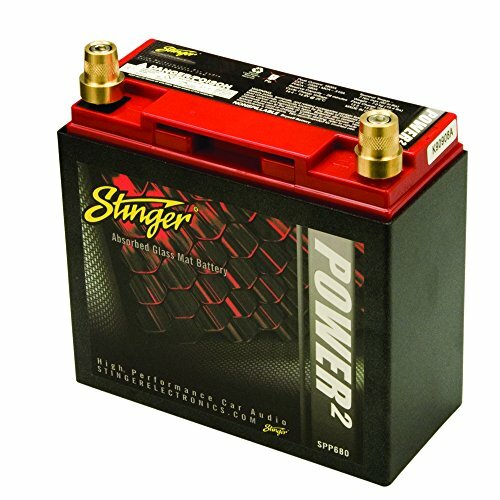 The SPP2250 is the monster of Stinger's batteries and can be used as a replacement for your vehicles standard, or additional battery to provide the extra power needed for a high performance aftermarket system. It's leak-proof design and removable brass battery posts allow this power cell to fit in most factory battery locations with no hazardous leaks. Stinger's SPP2250 Power Cell puts out 2250 cranking amps and is good for over 400 full discharge cycles. This battery will store energy so you don't need a capacitor for your system. 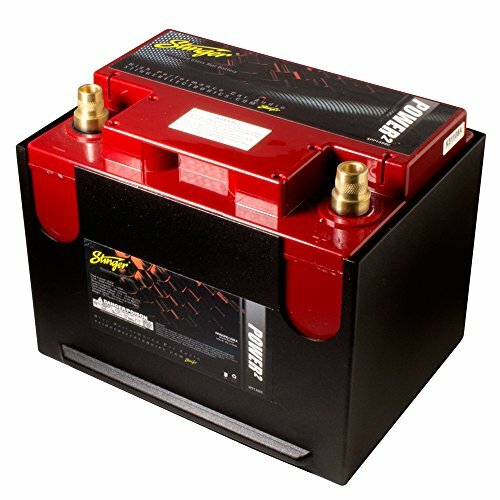 This Stinger 12-Volt SPP Series Dry Cell Battery features a sealed absorbed glass mat (AGM) design and is perfect for 1800 watt car audio sound systems. The SPP2150 can be used as a replacement for your vehicles standard battery or as an additional battery to provide the extra power needed for a high performance aftermarket system. It's leak-proof design and removable brass battery posts allow this power cell to fit in most factory battery locations with no hazardous leaks. 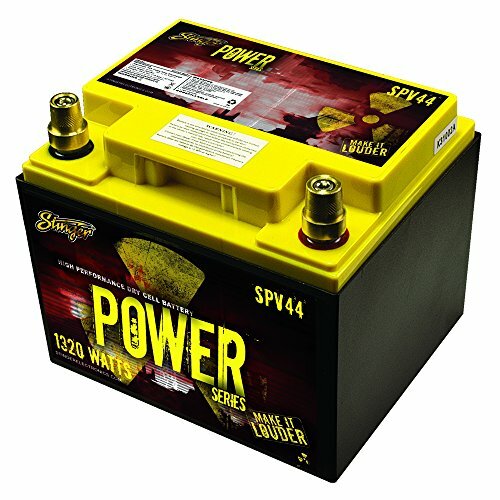 Stinger's SPP2150 Power Cell puts out 2150 cranking amps and is good for over 400 full discharge cycles. This battery will store energy so you don't need a capacitor for your system. 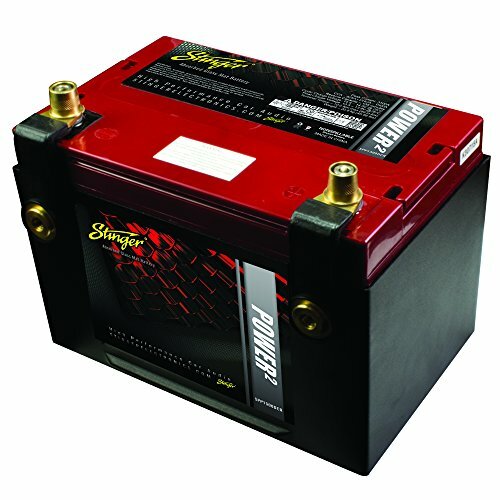 This Stinger 12-Volt SPP Series Dry Cell Battery features a sealed absorbed glass mat (AGM) design and is perfect for 1200 watt car audio sound systems. The SPP1200 can be used as a replacement for your vehicles standard battery or as an additional battery to provide the extra power needed for a high performance aftermarket system. It's leak-proof design and removable brass battery posts allow this power cell to fit in most factory battery locations with no hazardous leaks. 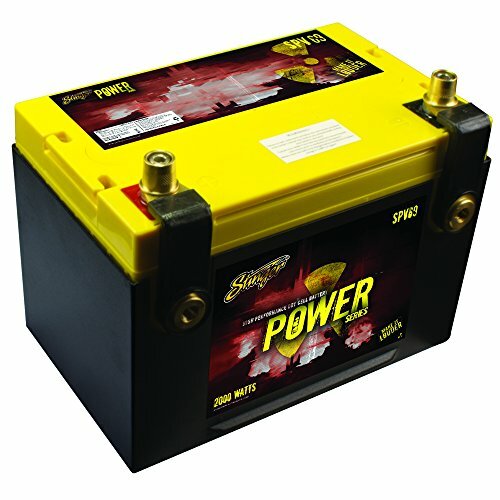 Stinger's SPP1200 Power Cell puts out 1200 cranking amps and is good for over 400 full discharge cycles. This battery will store energy so you don't need a capacitor for your system. Copyright © Wholesalion.com 2019 - The Best Prices On Stinger Car Audio Dry Cell Online.